What do I know about cancer? Not much and a whole bunch. Yeah, my daughter had kidney cancer at only thirteen months old. What do I know about mesothelioma? Not much and a whole bunch. Yeah. I recently had a message on my blog, asking me to contact this particular family. My first thought—oh, no, is this stranger trying to break into my computer system? Will my email be used for harm? Yeah, I thought that. People hurt people. It’s hard to understand. It’s hard not to have your guard up in a world where intentional computer viruses—diseases—go down. I thought immediately about my dad. Coming back from Disney one year, I got a phone call sharing that he was in the hospital. He was critical. And he was. He has extreme damage to his lungs due to asbestos. Nothing was intentionally done to harm him, but he worked in a pipe factory all his life. He went to work there probably at the age of 19 … and he retired there. He gave his life there. He gave his days there. I don’t actually know the extent of his lung damage. You see, he didn’t even tell us he had prostate cancer until he had completed his radiation therapy and was well on the way to recovery. He’s a private man. Even to his girl. But his trouble breathing is obvious. And I know he’s under doctor’s care. 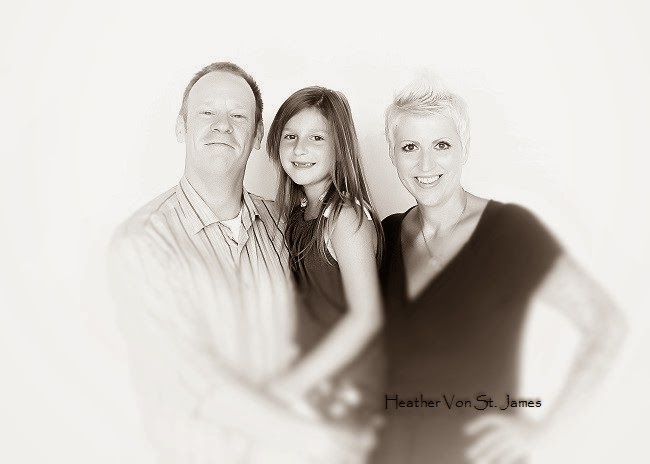 With all that in mind, I knew I had to share Heather Von St. James’s story. I don’t know her, but I know she has endured much. 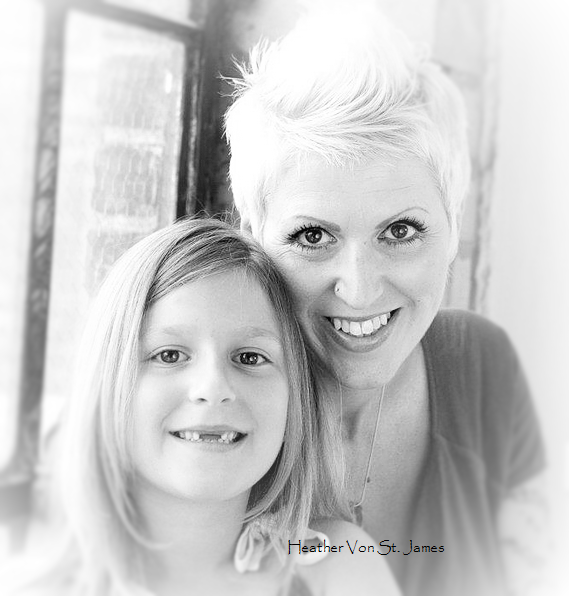 She was diagnosed with malignant pleural mesothelioma in 2005 at only 36 years old, after her daughter’s birth. She’s had a long road of surgery and chemotherapy. That’s a long, tough road for anyone. For any child, for any adult. And she’s a survivor. And I am honored to help raise awareness in this month of September. With 3,000 people being diagnosed yearly, mesothelioma is “an aggressive cancer affecting the membrane lining of the lungs and abdomen.” It is caused by asbestos, whether you worked in it, or you contracted it from the substance being brought home by another (second hand exposure). There is no cure. But the pain can be reduced and one’s life prolonged. Early awareness, early diagnosis is critical, as in all cancers, all diseases. Please be in prayer for Heather and her family. And Heather, thank you for sharing your life and story with so many. Your voice outshines the rest. God, please bless and keep them. “About 60% of patients diagnosed with pleural mesothelioma experience lower back pain or side chest pain, and there are frequent reports of shortness of breath. Lower numbers of people may experience difficulty swallowing, or have a persistent cough, fever, weight loss or fatigue. Additional symptoms that some patients experience are muscle weakness, loss of sensory capability, coughing up blood, facial and arm swelling, and hoarseness” (Mesothelioma.com). I'd say more but today was pretty darn near lethal. Can't move too well but I can pray for Heather and her family. Andrew, I am praying for you. I want you to have complete healing.